Although +Guy Kawasaki has assured followers on Google+ that Motorola is capable of making the kind of hardware he became familiar with at Apple, and that the people of Motorola can stand toe to toe with Googlers, I remain sceptical. My skepticism was renewed with the ad shown above. This ad is a teaser, a placeholder, meant to maintain interest until the X phone is ready. But it feels desperate. At this point in the development of smartphones, what can an OEM with a rocky past do? Is it really possible to make a phone that is a true game-changer? The problem is that any new phone has to be made of the same parts available to competitors, and some of those competitors have the advantage of vertical integration and technology leadership in some domains such that they can deny the best technology to their competitors. The advantage can't come from a new version of Android. That will be available on Nexus and other Android phones soon after it is revealed. In short, it is extremely difficult, to the point of being unlikely, to make a mobile phone product that is so distinctive as to set the industry in a new direction. It can be good. It can be competent. It can't help but have better branding than the obnoxious red and black evil robots of the "Droid" branding. It can be a combination of every optimal product management decision one could make. It can be the right response to what Apple is likely to do with a cheaper iPhone. But is it worth the expense and management distraction of doubling Google's headcount with the people who ran Motorola right through the bottom of the top ten OEM list? Yes, household names like Yulong, ZTE, and Lenovo sell far more phones than Motorola. In other words, Google, which has built a stellar valuation by keeping their headcount low and effectiveness high is carrying around what amounts to a cultural poisoned chalice - a company that has a high headcount and dubious effectiveness, operating in a market that punishes the slightest error harshly, that currently has a shade over 1% market share, and that competes with Google's valued partners that have demonstrated effectiveness in the mobile OEM business. Motorola is a problem to be managed and eventually solved with a spin-off. That being the goal, there is nothing wrong with polishing Motorola's image. But if the real Google starts to believe that, as the tagline says, that Motorola is "a Google company," that is the first large-scale error Google would make. Google has made plenty of mistakes, but none of them has cost Google more than what amounts to pocket change. So that tagline "a Google company" is redolent of wishful thinking, brand dilution, cultural entropy, and an unusual triumph of marketing over realism at Google. It is the opposite of what shareholders bet on when they bet on Google. The larger picture surrounding the issue of Motorola is that Google needs to maintain and evolve OEM relations to solve issues like delivering timely updates, especially critical security updates through an OEM process that, due to the way it developed, has encrusted Android with bloatware and other hindrances to quick software updates. 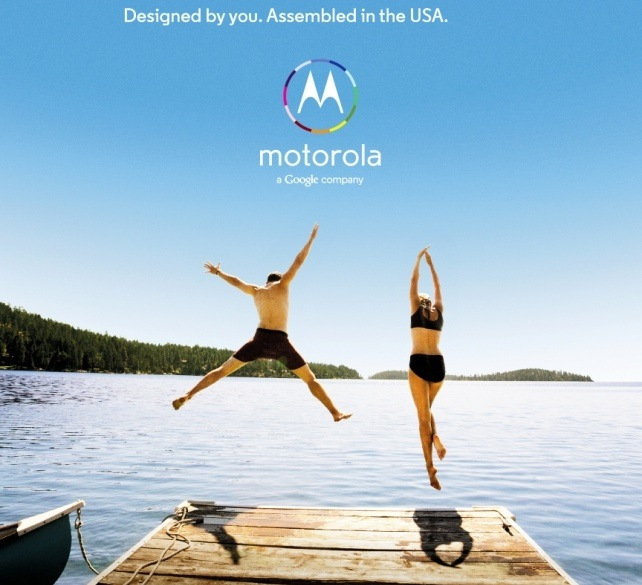 If Motorola only succeeds in annoying some other OEM partners, that's not going to help. Good luck to Motorola, and to +Guy Kawasaki and +Dennis Woodside. They have a difficult job that has defeated other very competent management teams. May Moto be worth what Google paid to acquire them. But as for being "a Google company" their goal should be to become something someone else would want to own.